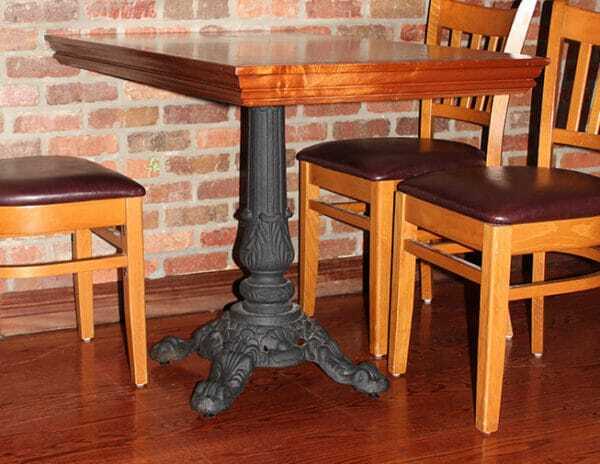 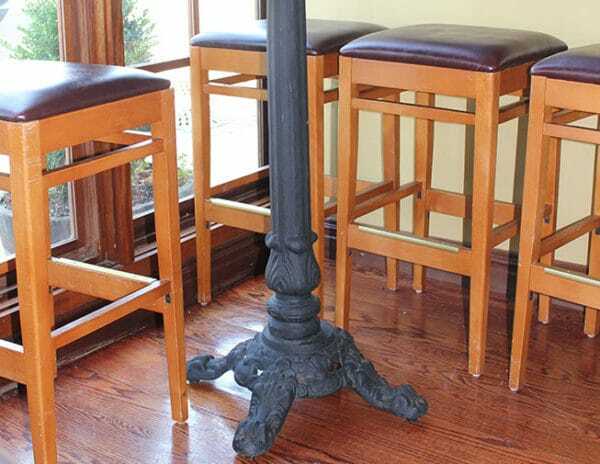 Ornate Decorative Table Base – Model 1024 – Restaurant Chairs by M. Deitz and Sons, Inc. 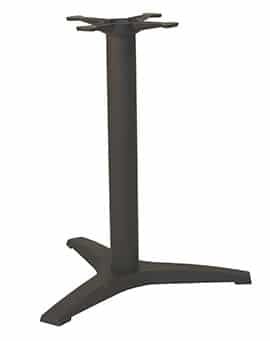 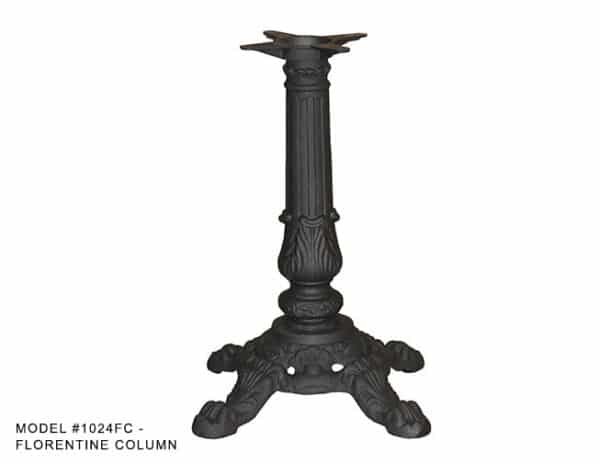 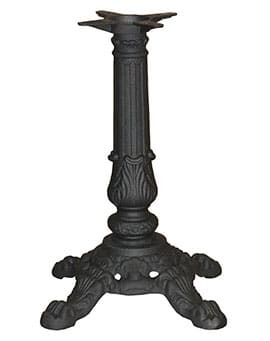 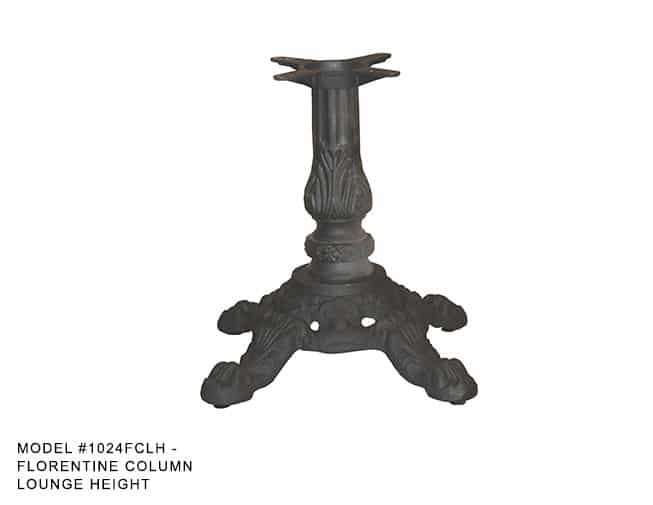 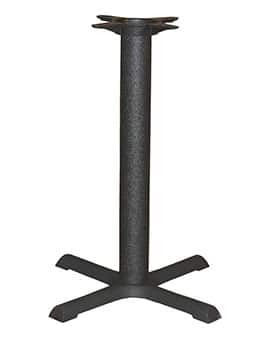 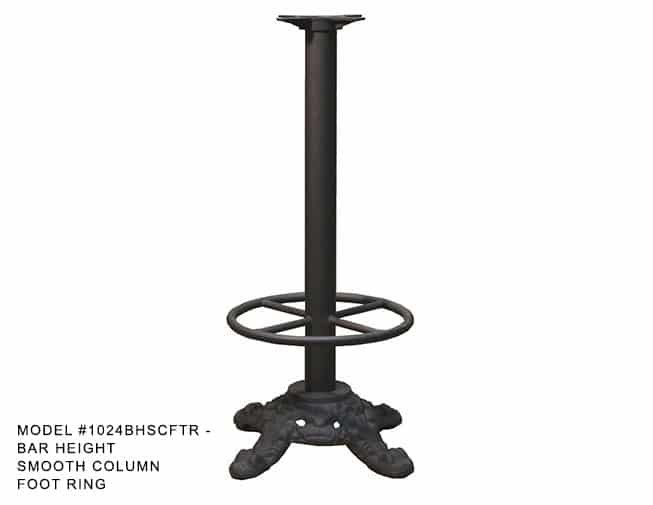 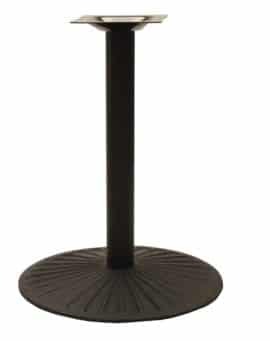 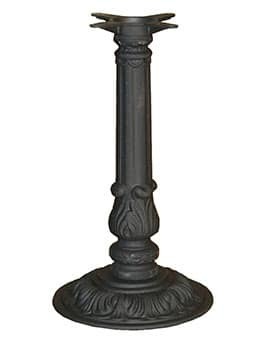 This heavy duty black powdered coated table base is extremely durable and its ornate features will enhance any decor. 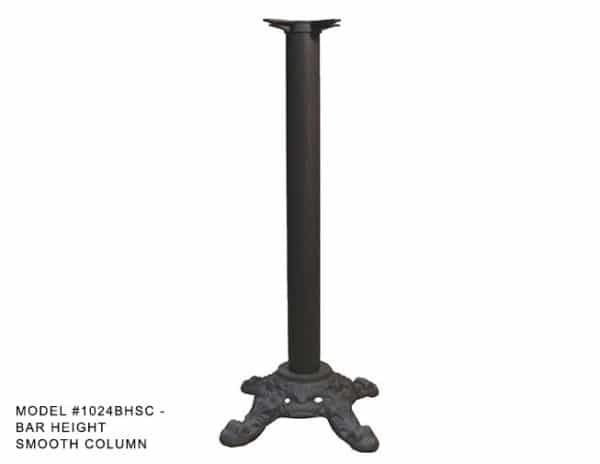 All cast iron, these bases can provide stabilty and years of use in even the most highly trafficed locations. The base plate comes in one size but there are several column options to suit any need.